Masks for sale at Homegrown! 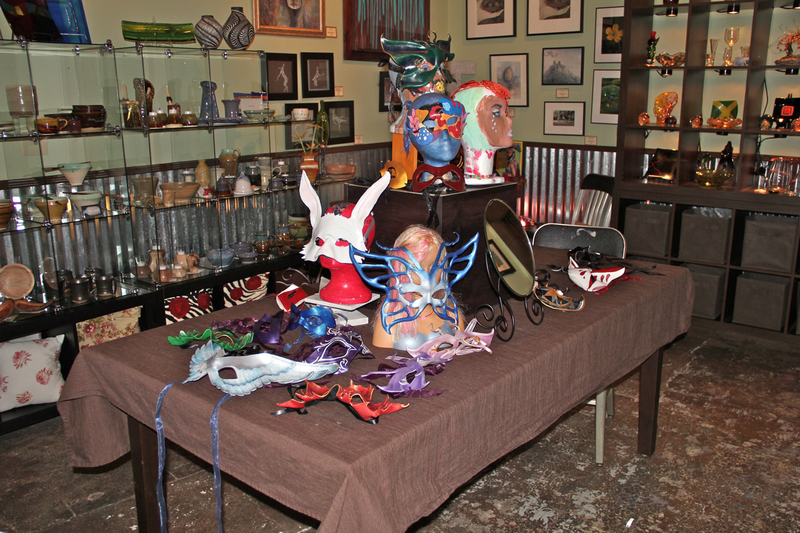 Until Halloween, some of my masks are for sale at Homegrown, an Artists’ Co-op in Decatur, Georgia. 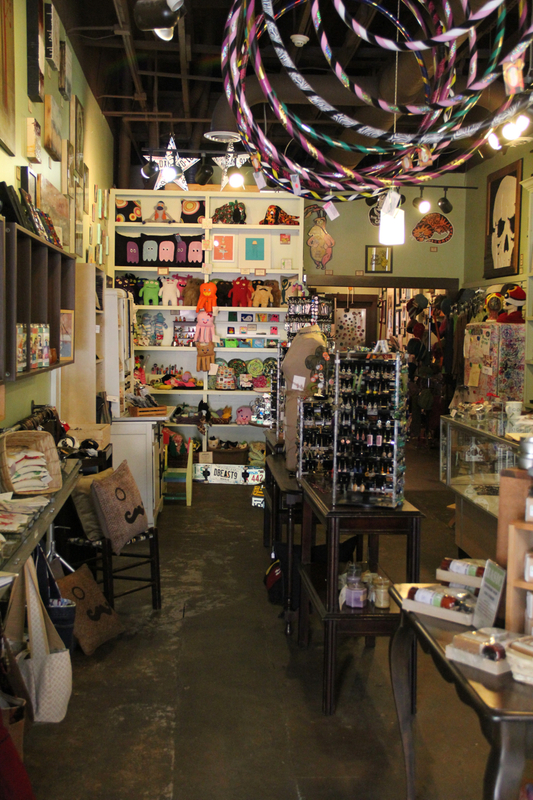 It’s a cute little place on the square, so if you’re local, you should definitely check it out. Decatur has a great pub and restaurant scene, and Homegrown is co-hosting some Halloween events with The Square Pub. You can check out what they’re up to at homegrowndecatur.com. Yes, those pillows do appear to have monocles and moustaches. 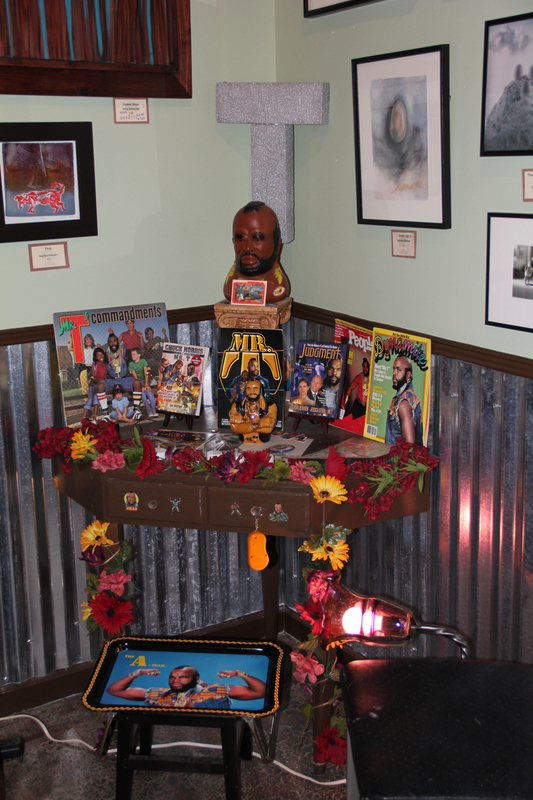 They even have a Mr T Shrine!